Hinged Purple Gift Box for Sterling Silver Rings. 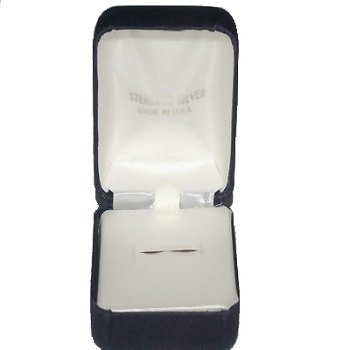 The closed box is 2 inches wide, 2.5 inches long and 1.25 inches high. "Sterling Silver made in the USA" written on the insert. All measurement are approximate.